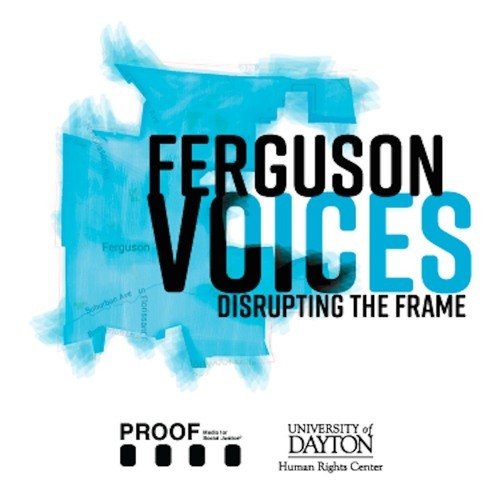 This page contains the audio component for "Ferguson Voices: Disrupting the Frame" a multimedia exhibit, produced by the Moral Courage Project, a human rights storytelling initiative and collaboration between PROOF: Media for Social Justice and the University of Dayton Human Rights Center. "Ferguson Voices" is also a podcast launching in August 2017 that can be found at soundcloud.com/fergusonvoicespod, as well as on iTunes, Google Play and other major platforms. The full version of the website will go live in early August 2017 at FergusonVoices.org. All materials are copyright of the University of Dayton and PROOF.